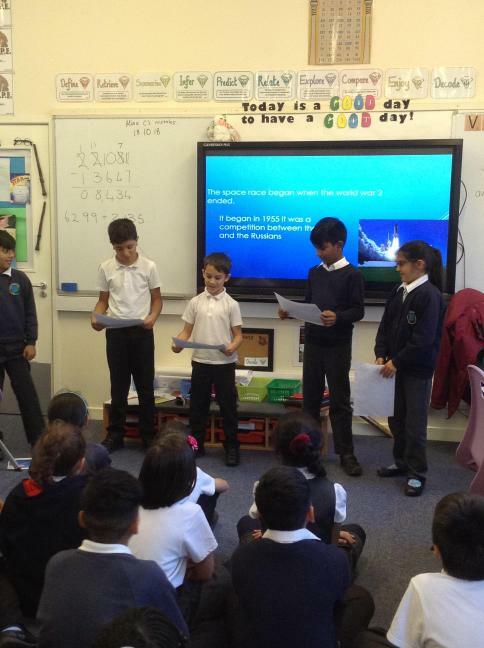 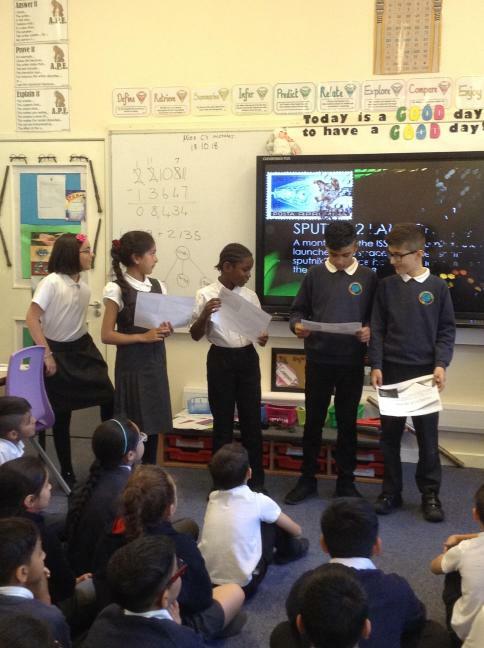 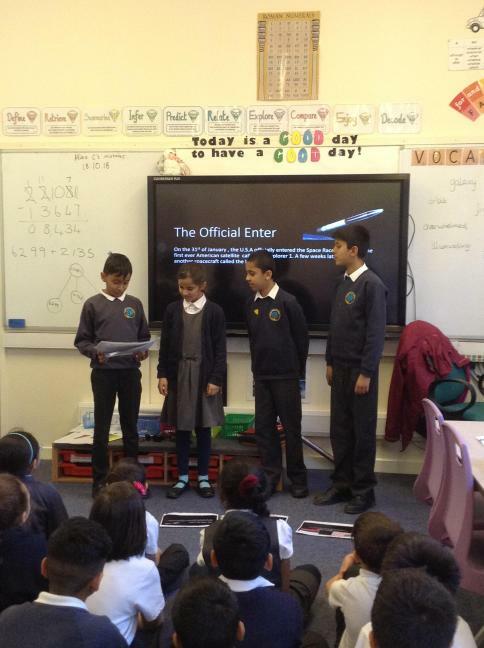 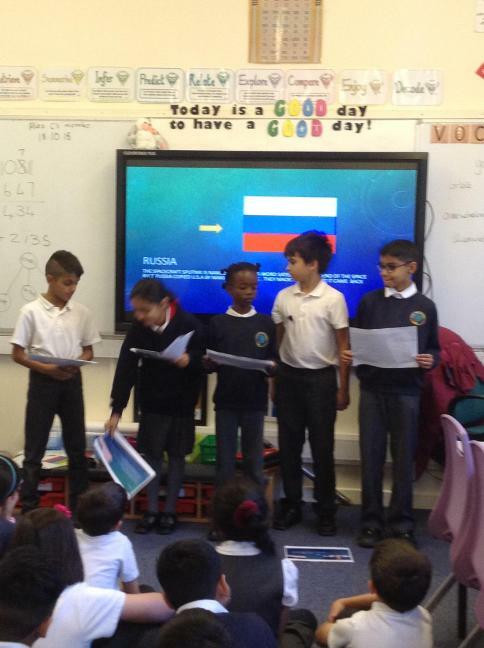 After completing some research on The Space Race, we created PowerPoint presentations and performed to the rest of the class. 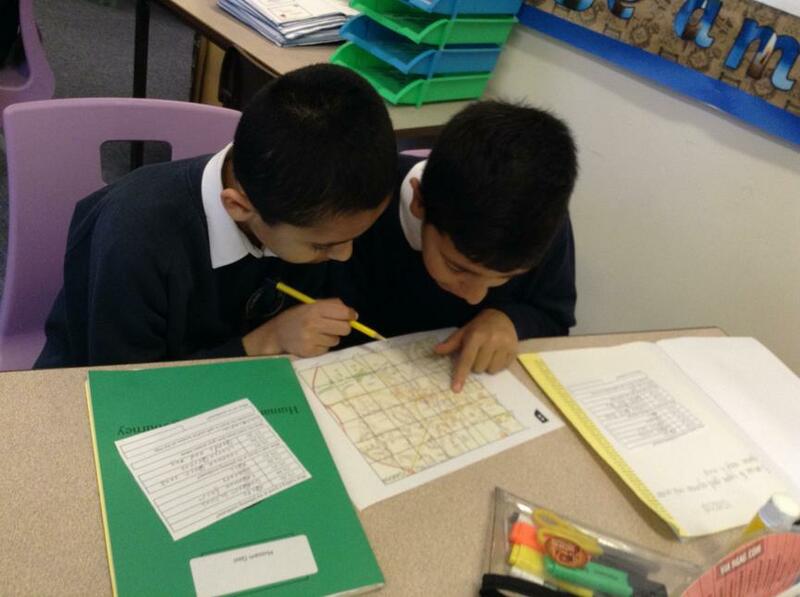 Refining our atlas skills, using the index to locate places. 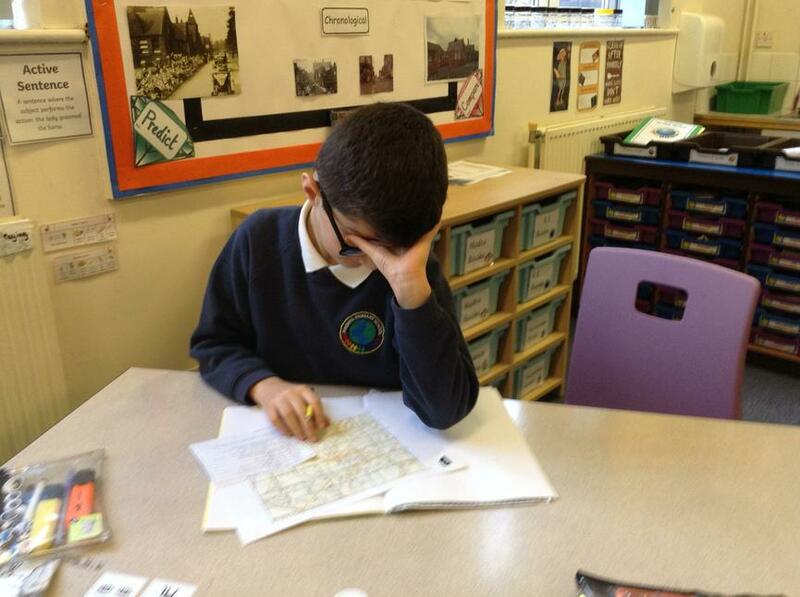 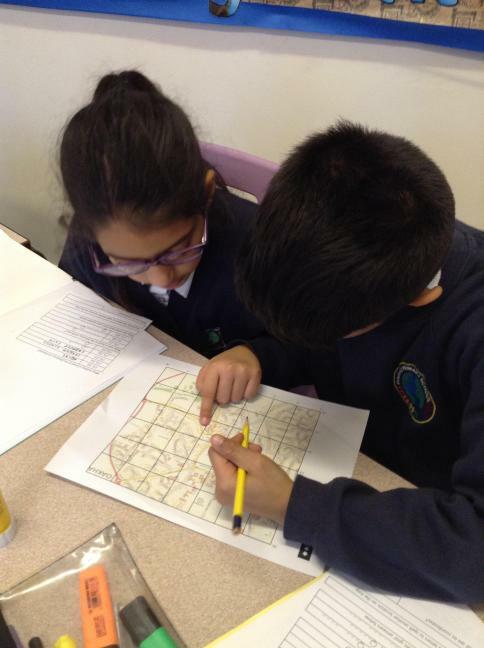 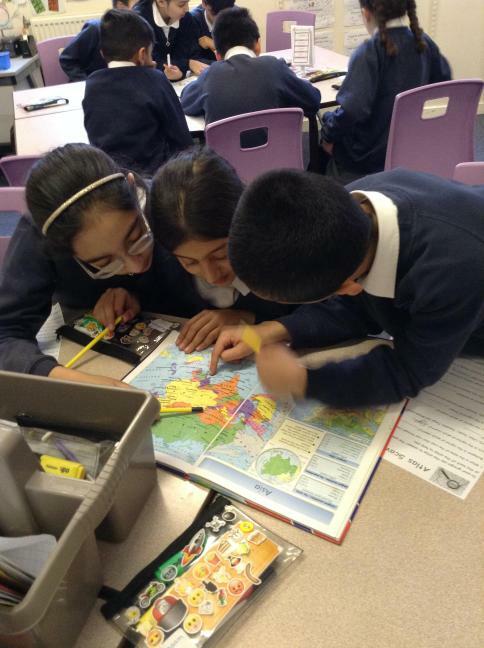 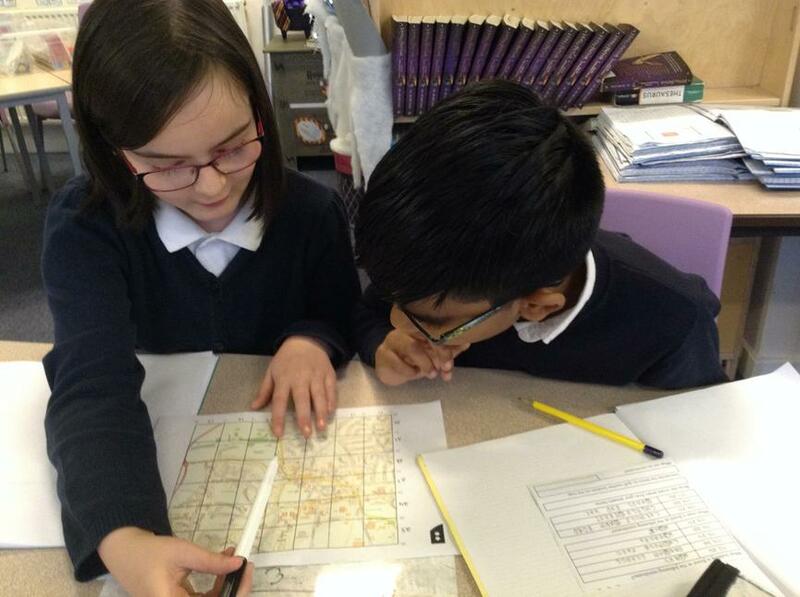 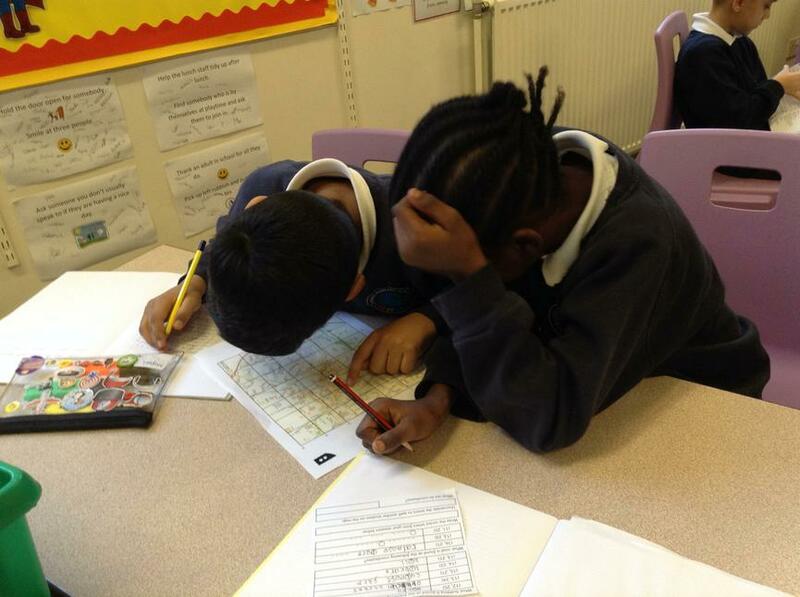 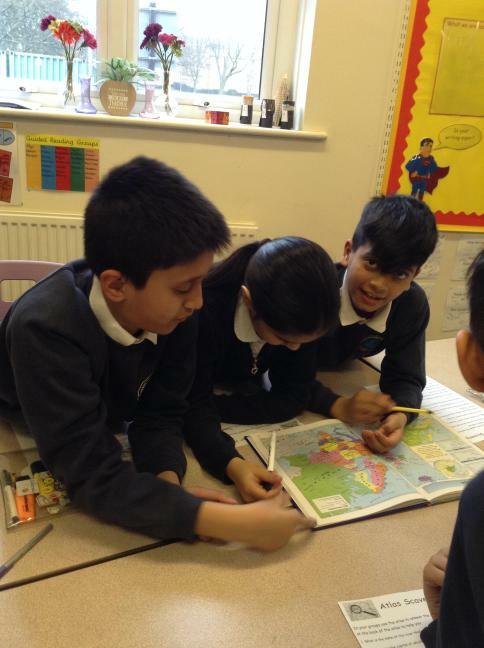 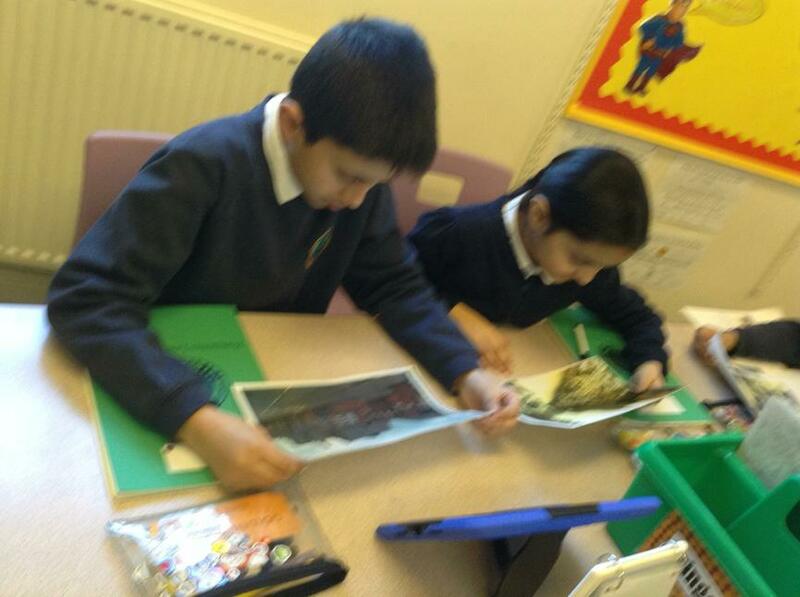 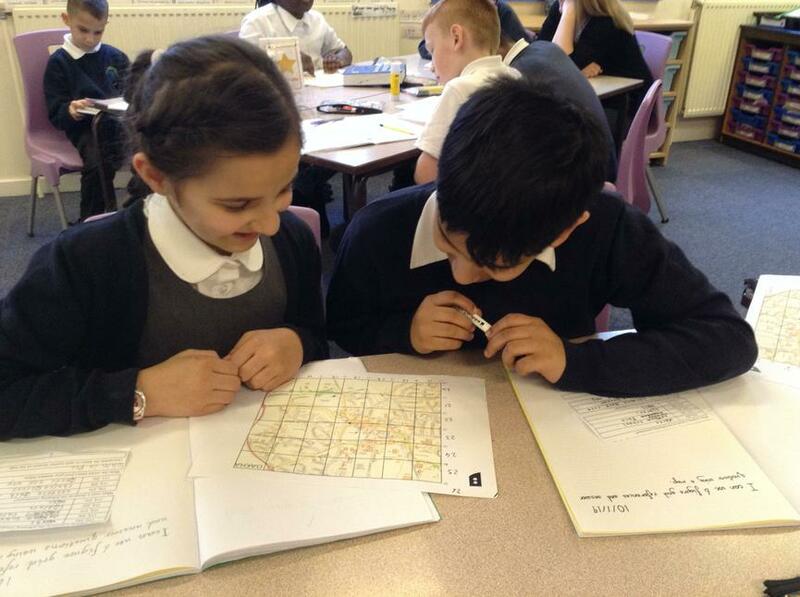 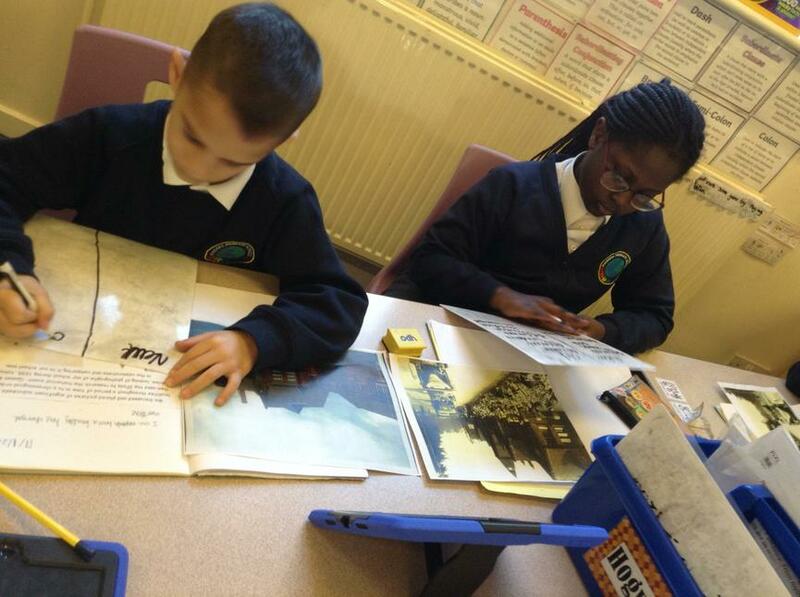 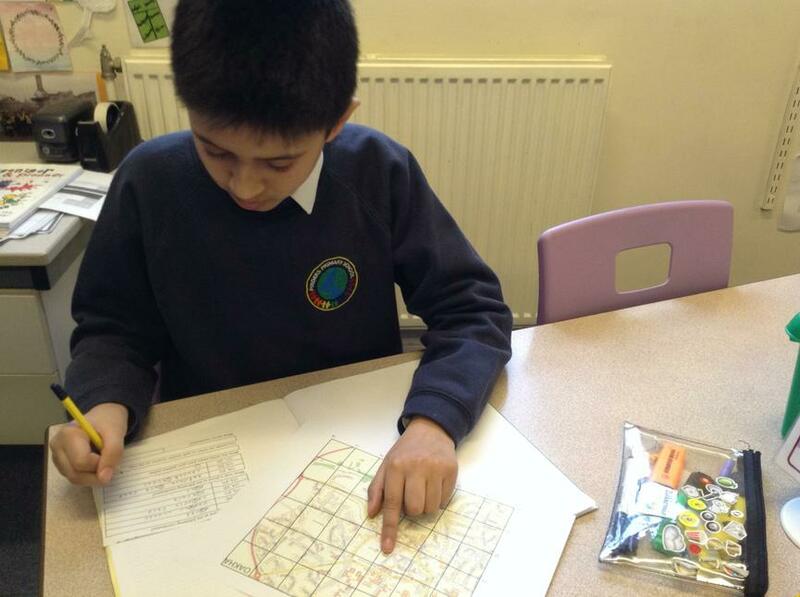 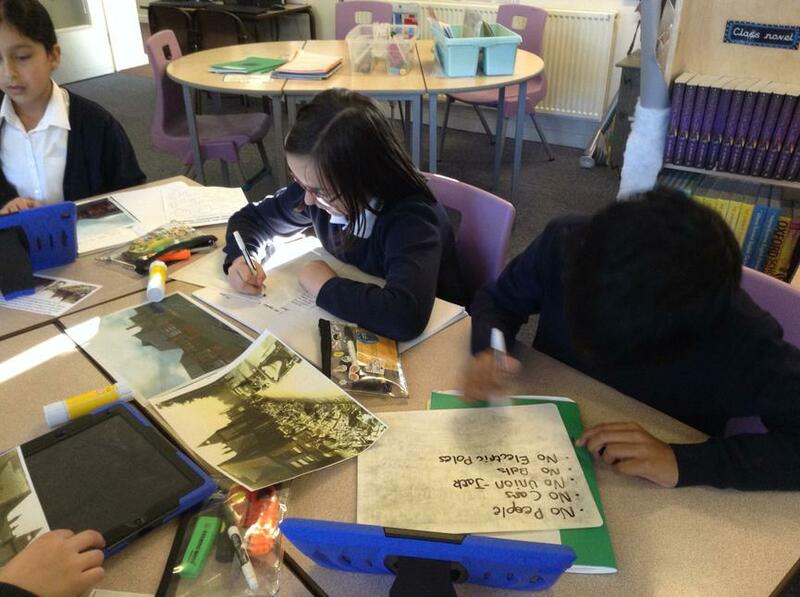 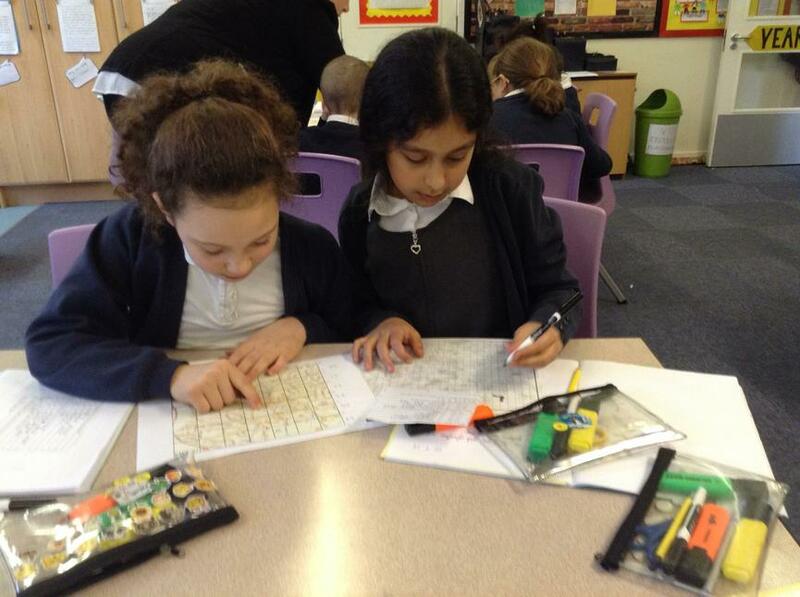 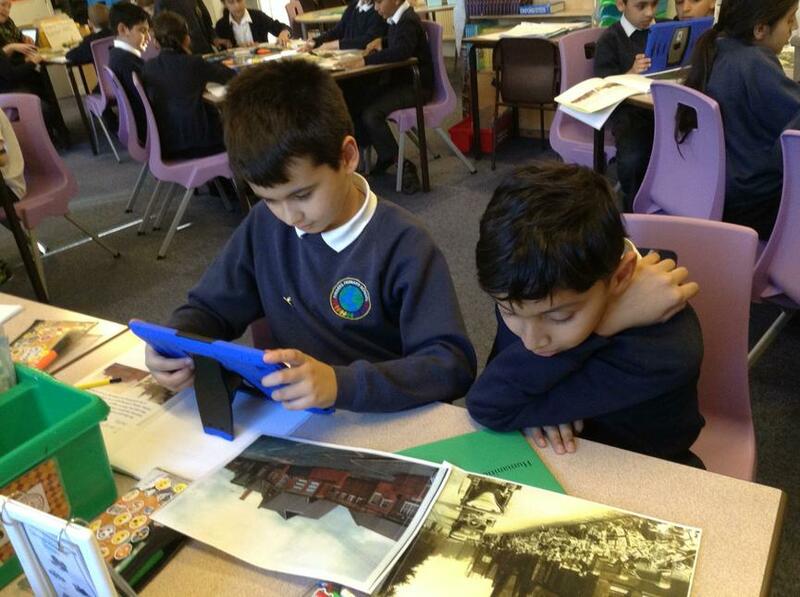 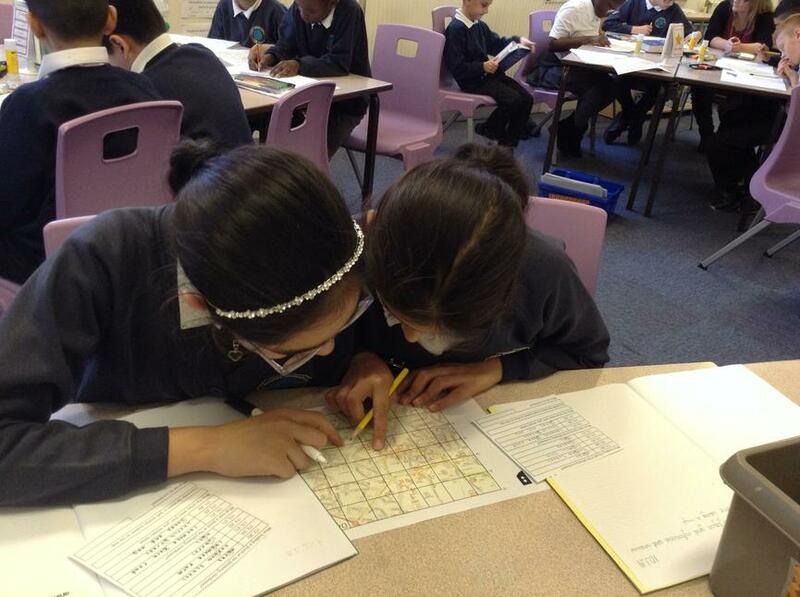 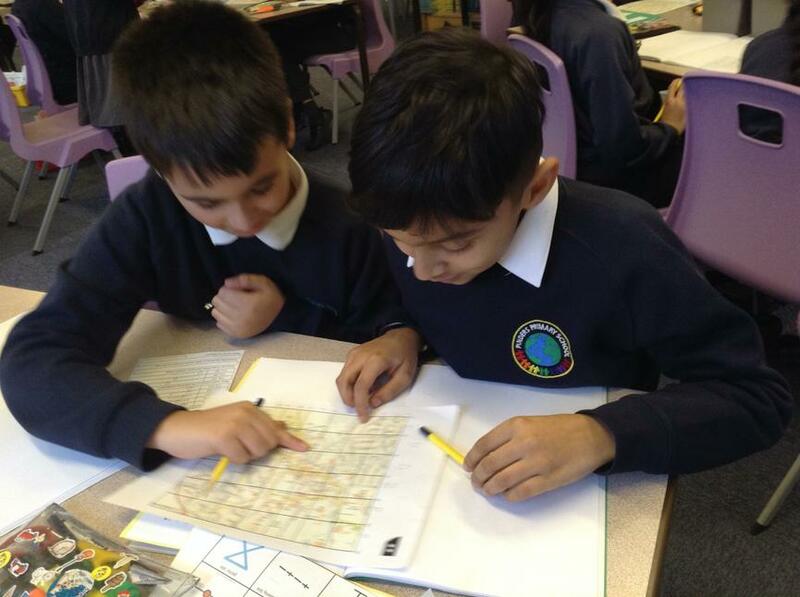 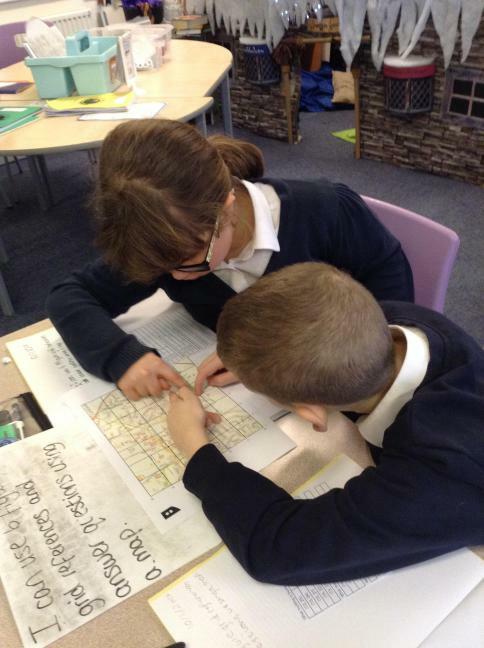 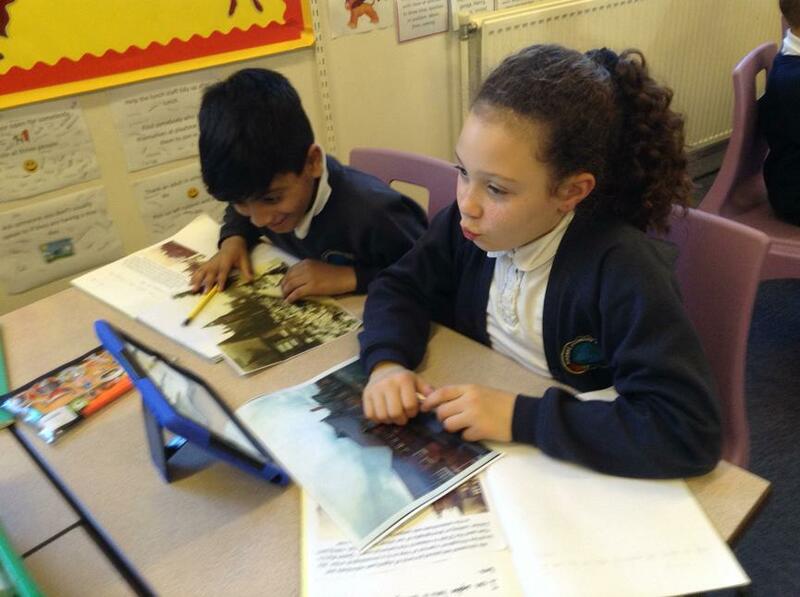 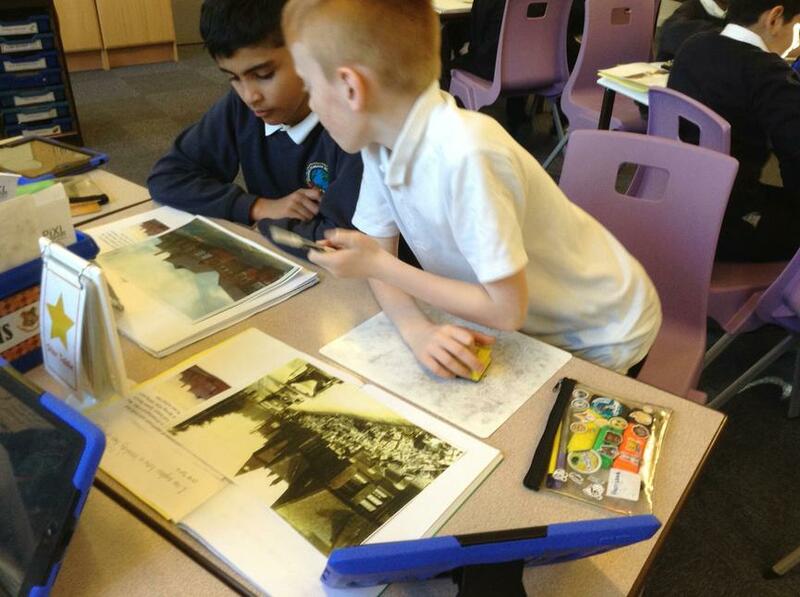 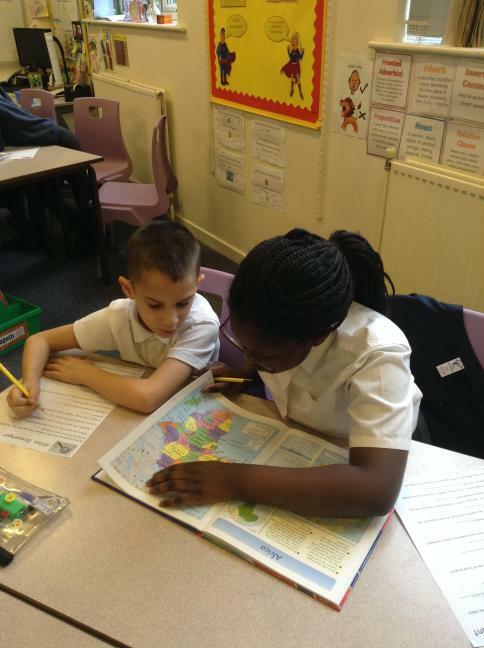 Using grid references, we were able to locate specific buildings and streets on a map. 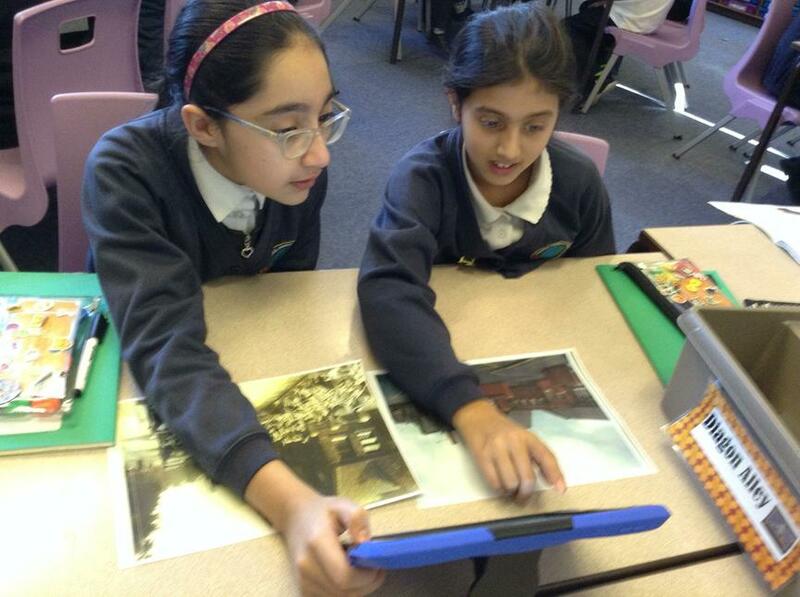 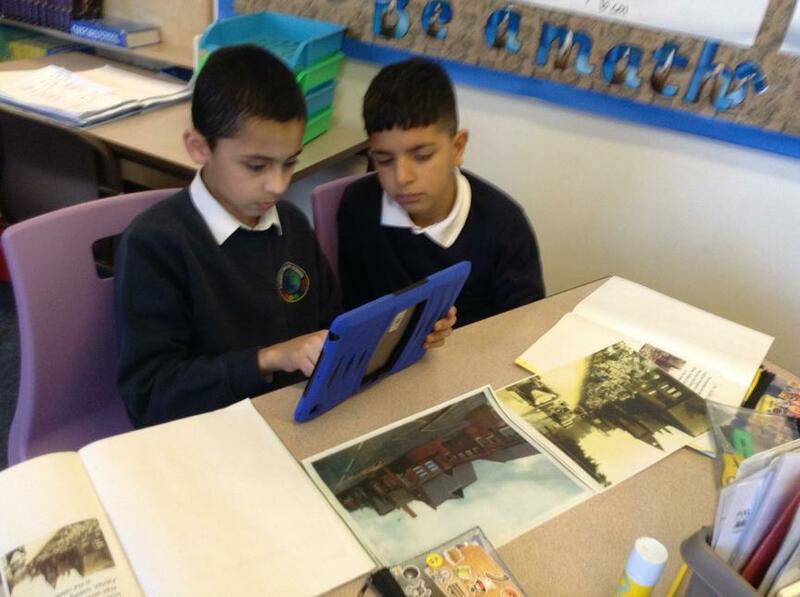 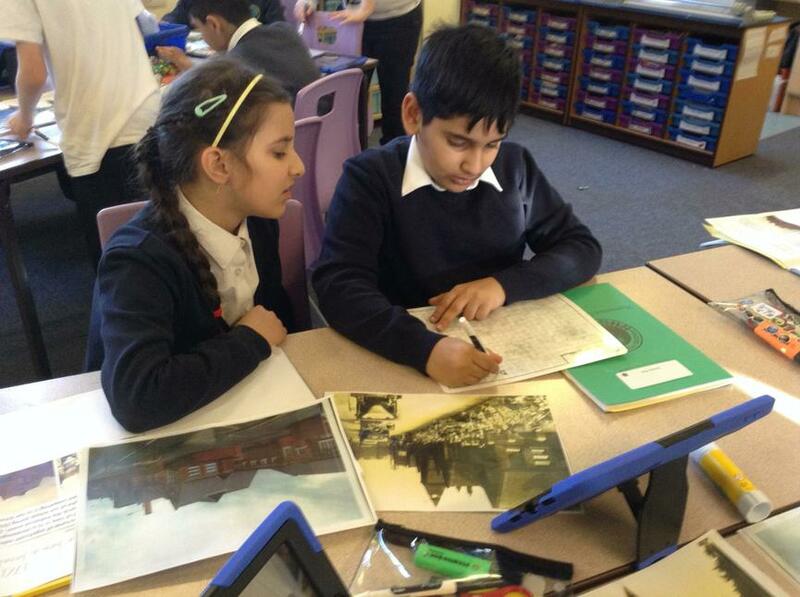 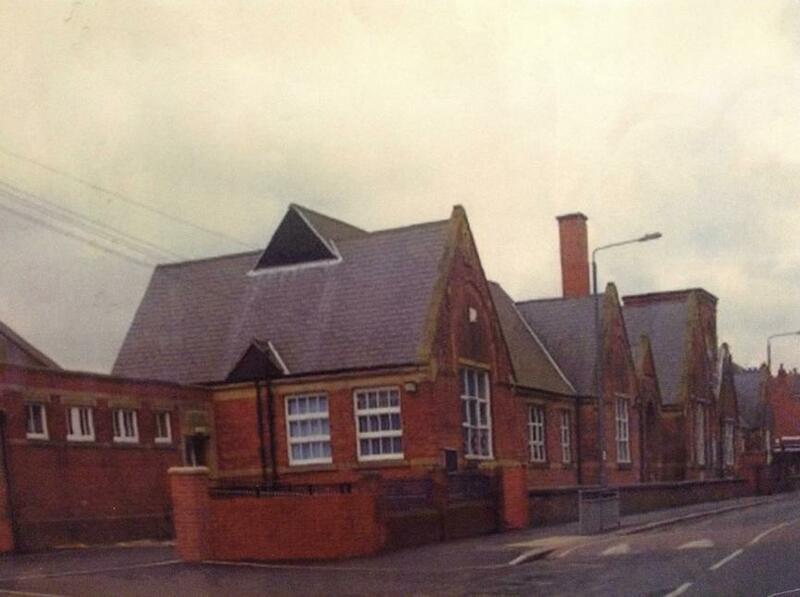 We found a picture of our school from Queen Mary's jubilee in 1937, we researched this major event then used our research to compare our locality in 2019. 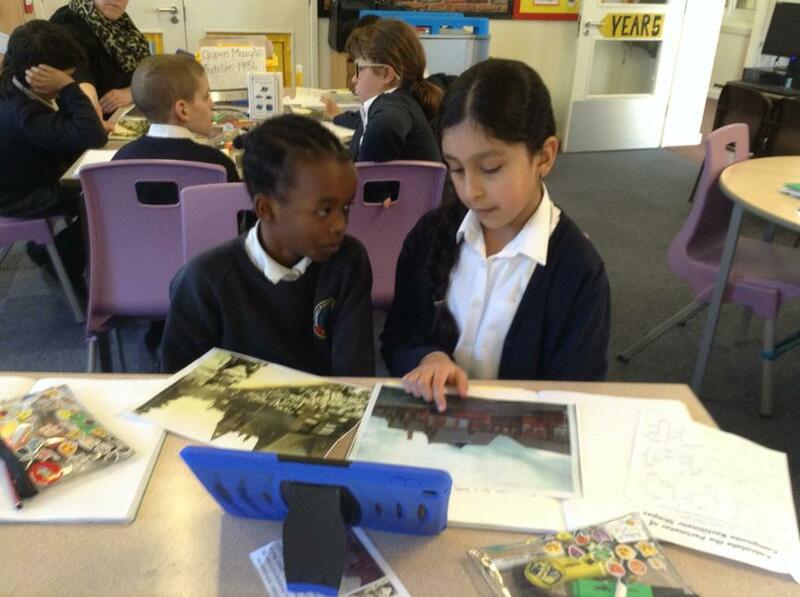 We were shocked to discover just how much has changed! 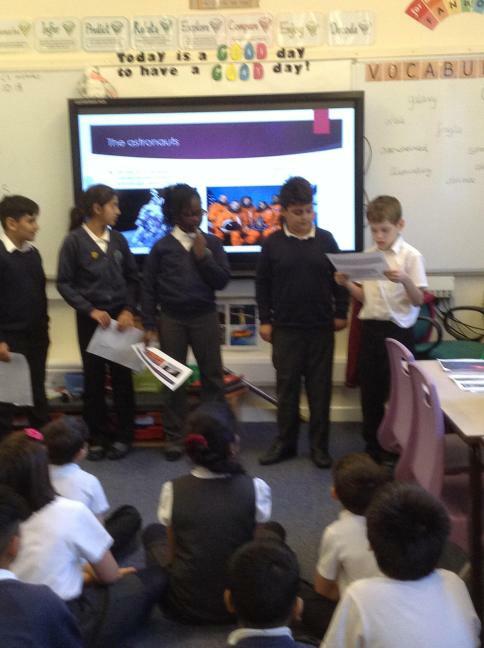 Click Here to find out all about our SPACE WEEK! 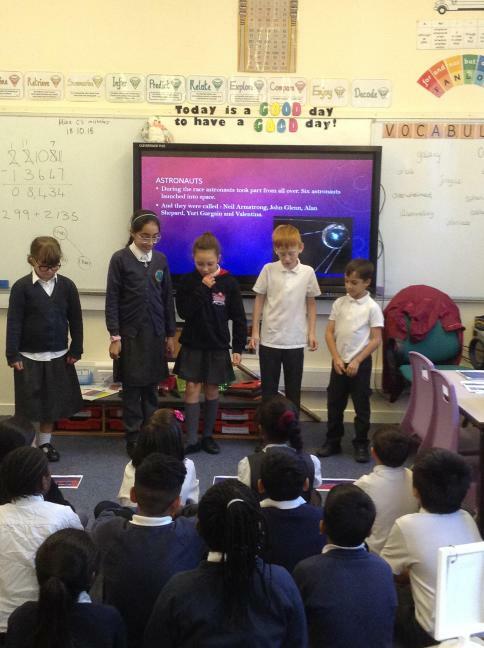 Day 1 of Year 4! 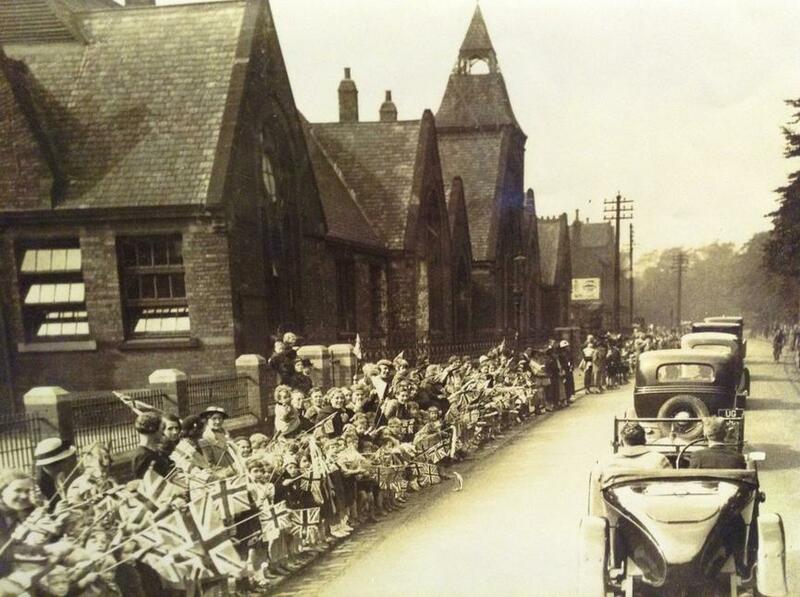 "The Tiger Who Came to Tea"